Keeping the wardrobe fuss free and organised is a big deal for many of us. Many times we don’t even find what we are looking for because everything is in a mess. 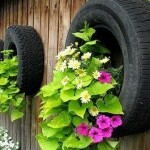 But keeping things organised saves a lot of time and energy as you don’t have to find things out of the mess. 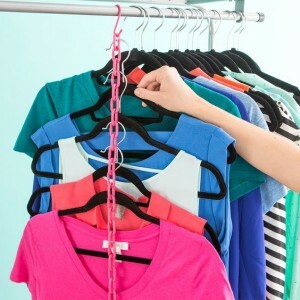 Here are few tips which will give you ideas on how to organize your wardrobe. 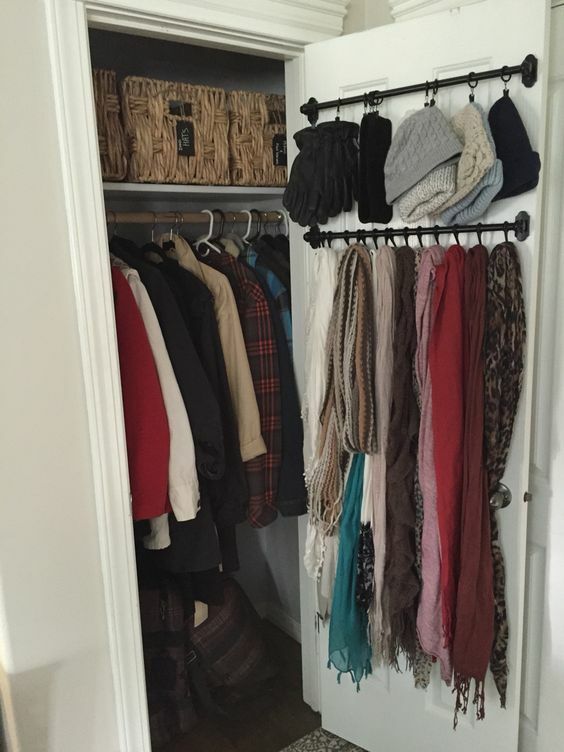 Use the doors– Wardrobe doors often go unused, but this space is very useful in hanging miscellaneous accessories like scarfs, stoles and caps. 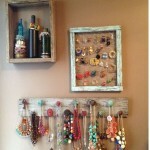 Fix a hanging bar or hooks in this area for maximum utilization. Use multiple hanger bars for bottoms– When you pile them in the corner, bottoms tend to take a lot more space and everything becomes a mess when you pull out one thing from that pile. Well use these special hangers which will allow you to display them neatly at one go. 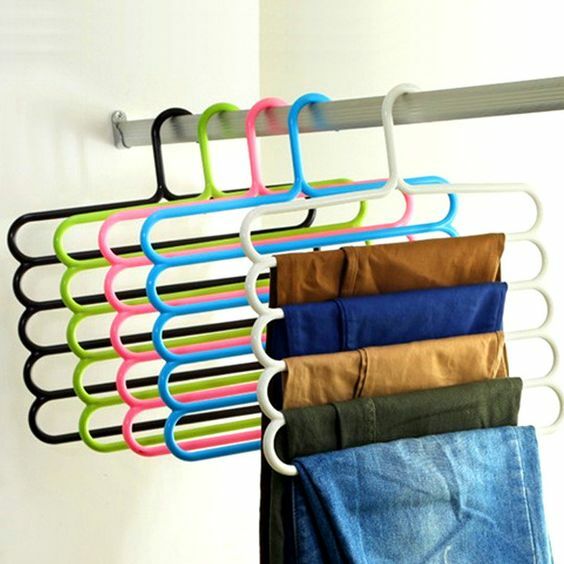 S loop for multiple hangers– S shaped loop can be a really helpful tool when you want to save space and wish to hang multiple T-shirts on the rack. Just add a chain to it and you are ready to insert as many hanger loops in it. Adjusting scarfs– The best way to store scarfs is to hang them loosely in circle loops and placing them in a round hanger at one go. 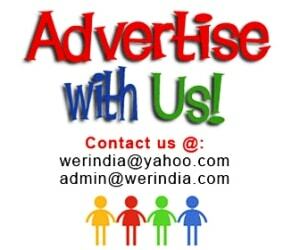 This way they will remain crease free and will be easier for you to find them as well. In case if you don’t get the circle loops then you can also use your bangles instead of them. 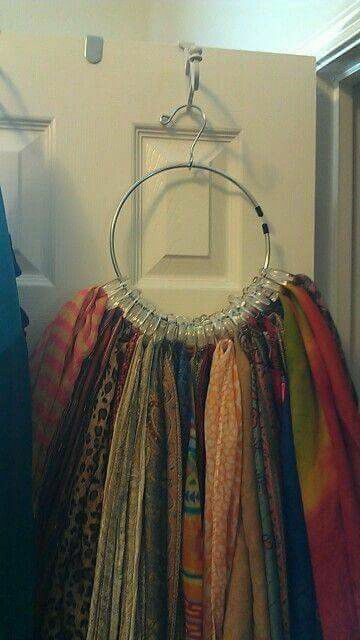 Hang spaghetti tops– The most difficult thing is to store spaghetti tops, but if kept in this way it becomes so much easier to just hang them at one place.